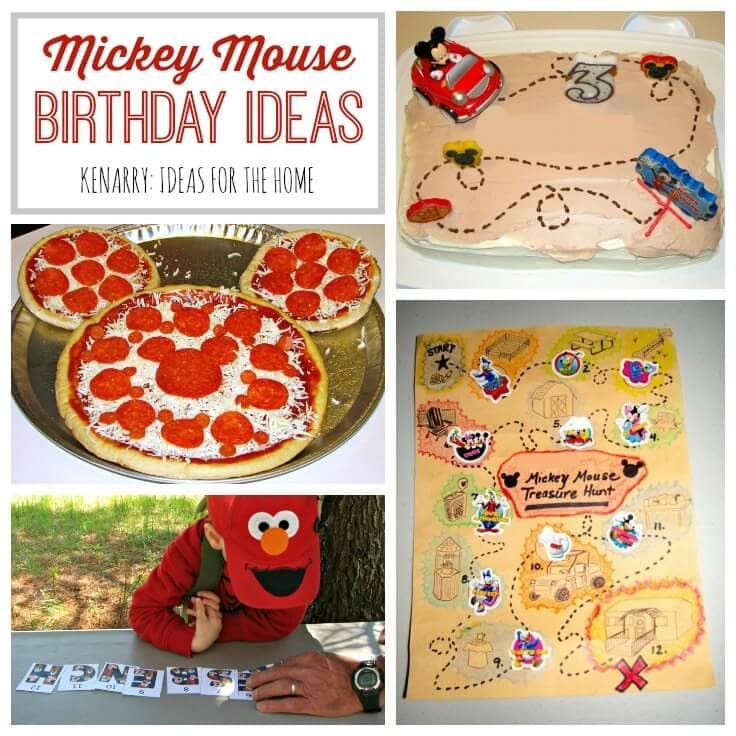 Celebrate your child’s special day with these Mickey Mouse birthday ideas including a treasure hunt, an easy birthday cake and a pizza shaped like Mickey! 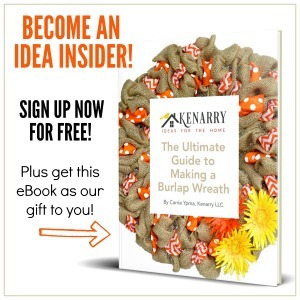 Creating a special birthday your child will remember can be as simple or as elaborate as you want. Today we’re sharing five ideas we used when our son turned three, but they could easily work for any aged child – or any Mickey Mouse lover for that matter! 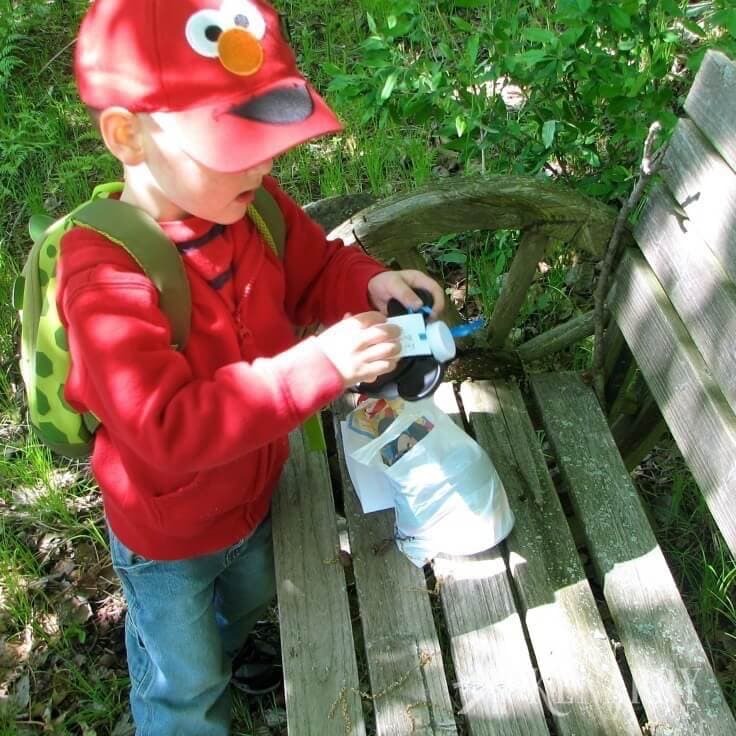 Our oldest son, who we refer to as C1 on the blog, turns five soon. 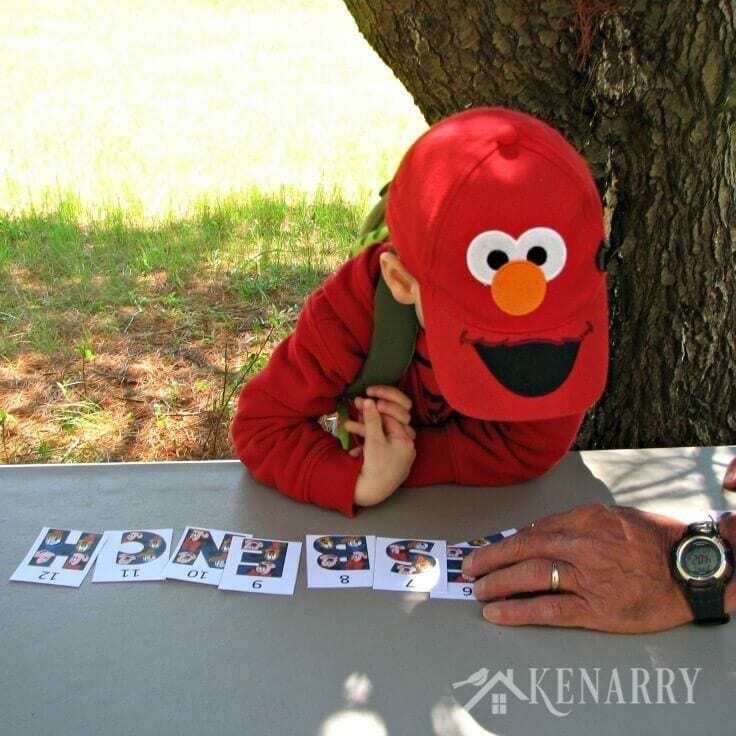 As we get ready to celebrate his coming birthday, I’ve been reminiscing about his previous birthdays here on Kenarry including the Teddy Bear Birthday when he turned one and the Curious George Birthday when he turned two. I also shared his Muppet Birthday last year when he turned four. The one missing from this set is the Mickey Mouse Birthday when he turned three, so I wanted to share that one with you today. Before I get into sharing ideas from C1’s third birthday, though, I need to start with a little disclaimer. C1’s first three birthdays all took place before I started blogging so I apologize that the photos aren’t as high quality as what you usually find here on Kenarry. 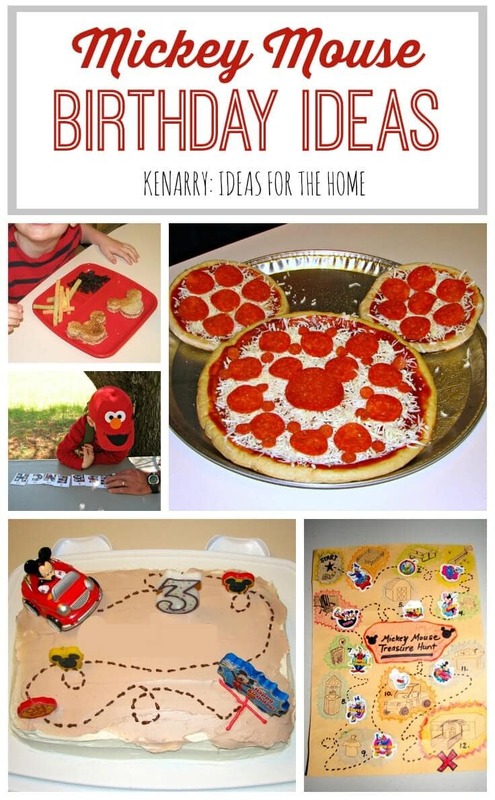 It was such a fun birthday, though, that I still wanted to share five ideas from C1’s Mickey Mouse birthday and hopefully inspire you with a few ways to celebrate your own child’s birthday! 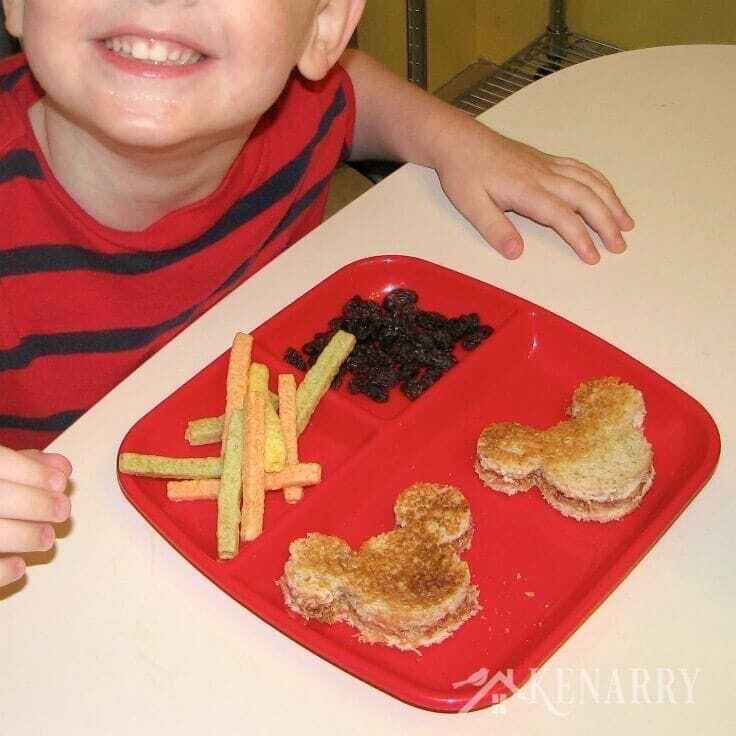 on Amazon that was great for creating two little Mickey Mouse shaped peanut butter and jelly sandwiches for our birthday boy. When you get to the final stop, you need to have all of the stickers on your map to get the final treasure. Look for the X, then dig for a second or two. but if you put them in number order, the mystery will crumble. “Argh! All this hunting for clues may make you weary with troubles. Relax for a few minutes on the bench while you blow 20 bubbles. Aww, this is seriously such the sweetest birthday! You are so great and putting together such memorable birthdays for your little ones – I know they appreciate it! 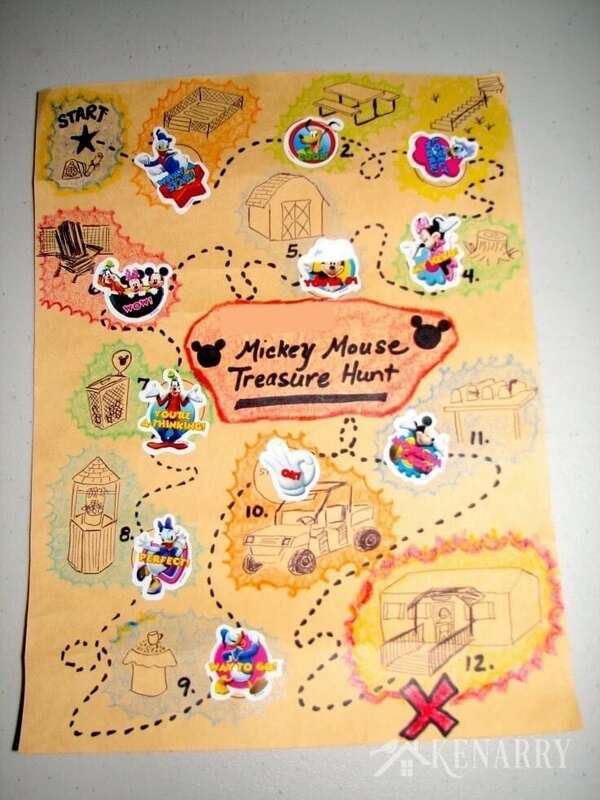 This mickey mouse treasure hunt would be so fun for my nephew who is turning 4 this year – I know he’d have a blast! 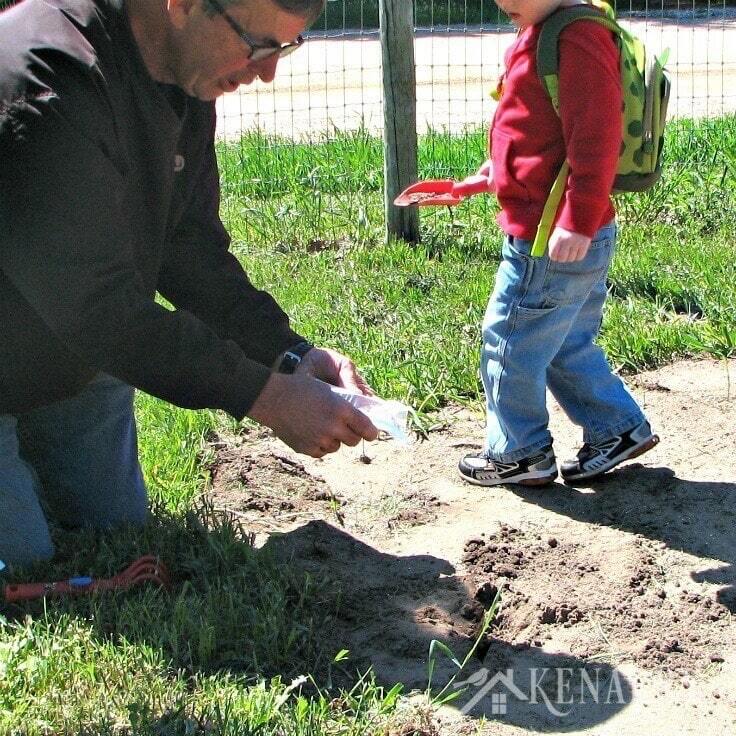 Your nephew would seriously love a treasure hunt, Erica! Let me know how it turns out! What a fun game! my boys both have winter birthdays, but this could still be a fun game to play inside the house! Steph, we’ve done scavenger hunts inside too. It’s just as enjoyable and in some ways there are even more places to hide the clues. Have fun with it! This is all so cute. How creative. What child wouldn’t love a Mickey Mouse Party? Thanks for sharing on Snickerdoodle Sunday! Thanks so much, Beverly! We’re thrilled you came over to visit from Snickerdoodle Sunday. Hope you have a great week!